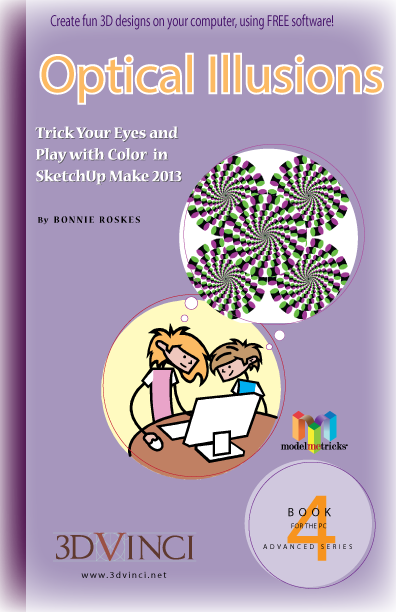 In this fourth book of the ModelMetricks Advanced series, you’ll make a lot of optical illusions. (Maybe you’ve seen some of these before on paper, but they look SO much cooler on your screen.) You’ll make straight things that look crooked or curvy, colors that seem to change, and objects that look like they’re moving. Caution: this book might make you dizzy! View chapter details. Printable PDF format, 8.5" x 11", 121 pages; download info will be sent within one business day.